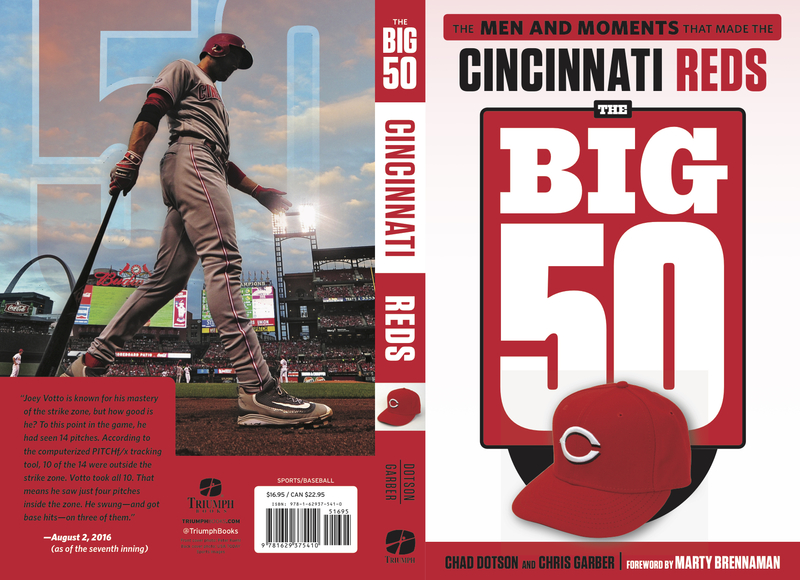 The book covers the 50 men and moments that made the Reds the Reds. But even 365 pages can’t cover every great moment in the Reds nearly 150 year history. Some great stuff was left on the cutting room floor. While Redleg Nation will be publishing an exclusive excerpt soon, we’ll also be sharing some other great stories that didn’t quite make the book. This one actually did make the book. It tells the story of the greatest single-game hitting performance in Reds history from Walker Cooper in 1949. But when our publication date got bumped back a year, and a certain second baseman made history in 2017, Mr. Cooper got bumped.Ã‚Â It’s too good a story to go untold, though. Enjoy! Cincinnati baseball fans could hardly be blamed for a lack ofÃ‚Â enthusiasm surrounding the game between the Reds andÃ‚Â the Chicago Cubs on July 6, 1949. The Reds were mired inÃ‚Â seventh place, and had lost three games in a row, and 10 of theirÃ‚Â previous 15. Most recently, Cincinnati had scored only one run inÃ‚Â dropping an Independence Day doubleheader against Pittsburgh. InÃ‚Â fact, only one team in the league was playing worse than the Reds. Fortunately, that team was the Cubs, who had lost four of their last five, and were already 16.5 games out of first. Put everything together, and it hardly seems surprising thatÃ‚Â only 4,036 brave souls ventured out to Crosley Field to take in aÃ‚Â ballgame on a Wednesday afternoon. Cincinnati manager Bucky Walters had tried seven different cleanup hitters in the seasonÃ¢â‚¬â„¢s first three months, but wasnÃ¢â‚¬â„¢tÃ‚Â particularly satisfied with any of them until Walker Cooper strolledÃ‚Â into the Reds clubhouse in mid-June. A big guy from Atherton,Ã‚Â Missouri, Cooper had established himself as perhaps the bestÃ‚Â catcher in baseball since arriving in the big leagues nine yearsÃ‚Â before. Playing with the Cardinals and Giants, Cooper had beenÃ‚Â named to six All-Star squads, and had finished second in NL MVPÃ‚Â voting in 1943, after hitting .318 and helping St. Louis win theÃ‚Â pennant. Now 34 years old, Cooper had gotten off to a terrible start in 1949, hitting just .211/.261/.354 through 42 games for the Giants.Ã‚Â Ã¢â‚¬Å“Walk,Ã¢â‚¬Â as he was known, had been engaged in a bitter feud with new Giants manager Leo Durocher. Cooper was openly critical of hisÃ‚Â skipper, complaining about Durocher to anyone who would listen,Ã‚Â including the New York beat writers. For his part, Durocher onceÃ‚Â told his catcher to Ã¢â‚¬Å“keep your big mouth shutÃ¢â‚¬Â during a game; LeoÃ¢â‚¬â„¢s nickname wasnÃ¢â‚¬â„¢t Ã¢â‚¬Å“the LipÃ¢â‚¬Â for nothing. 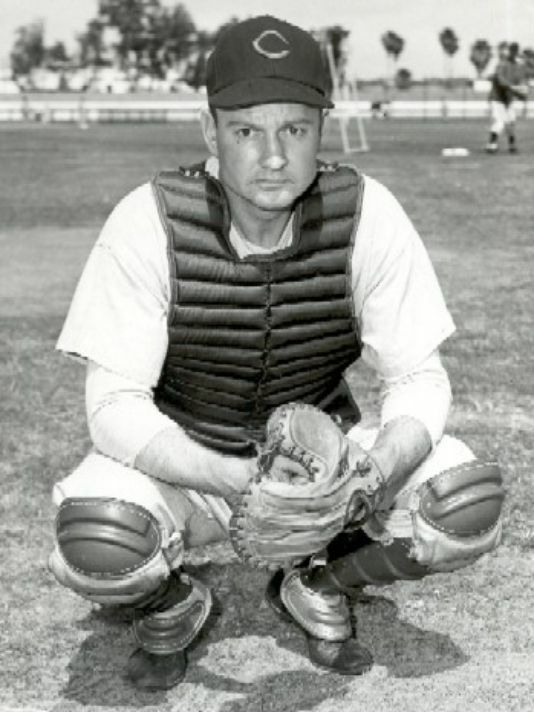 With Cooper struggling at the plate, Durocher had his opportunity; on June 13, the Giants traded him to Cincinnati inÃ‚Â exchange for 37-year-old Ray Mueller, a steady catcher who had played parts of six seasons with the Reds (and had made one All-Star team himself, in 1945). Cooper, happy to be in CincinnatiÃ¢â‚¬â€andÃ‚Â batting mostly fourth in WaltersÃ¢â‚¬â„¢ new-look lineupÃ¢â‚¬â€homered in two of his first three games after the trade. But by the time July 6 rolledÃ‚Â around, three weeks after joining the Reds, he was still in the midstÃ‚Â of the worst offensive season of his career, having raised his battingÃ‚Â average only 12 points since the trade. It became evident pretty early that this would be no ordinary game. In the bottom of the first, CincinnatiÃ¢â‚¬â„¢s Peanuts Lowery struckÃ‚Â Cubs pitcher Monk Dubiel with a line drive. Dubiel was forced to leave the game, and Cubs manager Frankie Frisch called on WarrenÃ‚Â Hacker to take the mound. Walker Cooper greeted Hacker with aÃ‚Â single, moving Lowery to third; both would eventually score as theÃ‚Â Reds posted a 2Ã¢â‚¬â€œ0 lead. Cincinnati kept up the momentum in the bottom of the second. Cooper drove in the gameÃ¢â‚¬â„¢s third runÃ¢â‚¬â€his first RBI of the afternoon, but certainly not his lastÃ¢â‚¬â€with a sharp single to right field that scored Reds pitcher Ken Raffensberger. By the end of the inning,Ã‚Â thanks mostly to three Chicago errors, the Reds led 6Ã¢â‚¬â€œ0 but hadnÃ¢â‚¬â„¢tÃ‚Â yet collected a single extra-base hit. That would change in the third. After the Cubs cut the leadÃ‚Â in half, the Reds came back with two more runs before CooperÃ‚Â stepped to the plate with two runners aboard. Cooper unleashed aÃ‚Â mighty swing and delivered a towering three-run homer over theÃ‚Â left-field fence. He singled again in the following inning, and afterÃ‚Â four frames, the Reds led 12Ã¢â‚¬â€œ3 and Cooper was 4Ã¢â‚¬â€œ4 with a homerÃ‚Â and four RBI. He wasnÃ¢â‚¬â„¢t finished, not by a long shot. In the sixth inning, Cooper hit his second three-run homer ofÃ‚Â the day, this one a line drive into the left-field stands off Cubs hurlerÃ‚Â Doyle Lade. The following inning, Cooper came to the plate after singles by Harry Walker and Lloyd Merriman. Bob Muncrief was nowÃ‚Â on the mound for Chicago, but his fate was the same. Cooper hitÃ‚Â his thirdÃ¢â‚¬â€and longestÃ¢â‚¬â€home run, a mammoth drive to dead centerÃ‚Â field that gave the Reds a preposterous 21Ã¢â‚¬â€œ4 lead. After only six innings, Walker Cooper was now 6Ã¢â‚¬â€œ6 with three home runs; his 10 RBI marked a new Cincinnati franchise record. In the eighth inning, Cooper had an opportunity to break the all-time major league mark of 12 RBI, set by Sunny Jim BottomleyÃ‚Â in 1926. With two on and two out, Cooper failed for the only time, grounding out to shortstop. 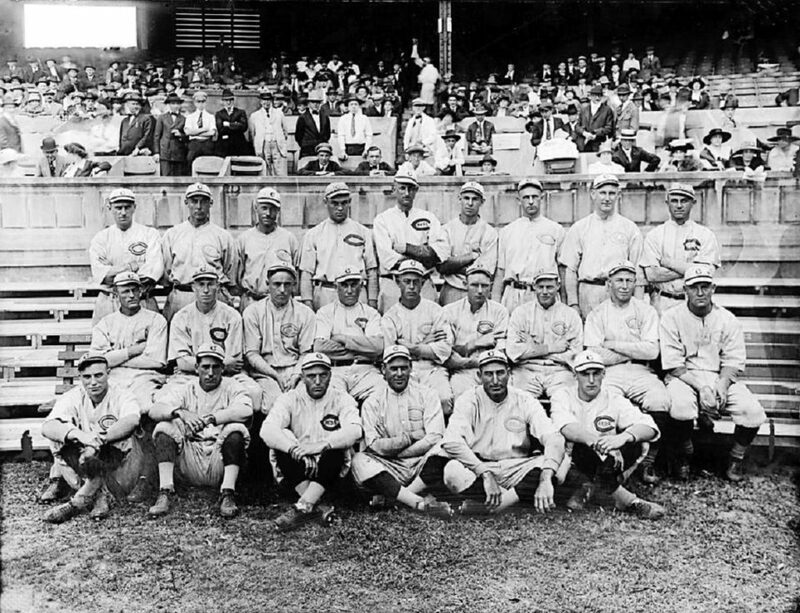 When it was all over, the Reds had won 23Ã¢â‚¬â€œ4. They collected 26 hits, including four homers, three doubles, and a triple. The pitcher,Ã‚Â Raffensberger, was the only Cincinnati player who didnÃ¢â‚¬â„¢t collect atÃ‚Â least one hit (though he scored a run after being hit by a pitch in theÃ‚Â second). Eight Reds had multiple hits. But all anyone wanted to talkÃ‚Â about was the magnificent performance of Walker Cooper. In addition to the RBI record, Cooper broke the Reds mark for total bases in a single game, with 15. His six hits, three homers, andÃ‚Â five runs scored all tied club records. Nearly 60 years later, Gennett would tie Cooper’s RBI mark, and set club records with four HR and 17 total bases. Cubs skipper Frisch demanded that the Reds be Ã¢â‚¬Å“subjected to a saliva testÃ¢â‚¬Â after the game. ItÃ¢â‚¬â„¢s unclear what substance heÃ‚Â suspected. Ã¢â‚¬Å“We thought they were going to be softÃ¢â‚¬Â after scoringÃ‚Â only one run in the July 4 doubleheader, Frisch complained. In one afternoon, Cooper raised his batting average 20 points,Ã‚Â from .231 to .251, and bumped up his slugging percentage moreÃ‚Â than 50 points (from .387 to .443). What had been a miserableÃ‚Â season at the plate was swept away in the blink of an eye, and sixÃ‚Â days later, Cooper was on the roster of the NL All-Stars for the seventh time in his career. It would be his only All-Star appearance as a member of theÃ‚Â Reds. The following May, Cooper was traded to the Boston Braves,Ã‚Â where he was named to the All-Star team for the eighth and final time. Walker Cooper only played 97 games for Cincinnati over parts of two seasons. One of those games, however, was (up until then) the greatestÃ‚Â batting performance in franchise history. Great stuff Chris. I’d never even heard of Walker Cooper but one of the many wonderful things about baseball is the long long line of history connecting today’s teams and players with more than a century of champions, all stars, journeymen and tiny miracles. Thanks for sharing this Reds gem. Everyone who liked this should love the book! I remember a game against John Smoltz where the Reds hit 4 or 5 HRs in the first inning and batted around. I remember a few 20 run games over the years too. Sadly, pitching was usually (9 out of 10 seasons) below average and we rarely contended. More sadly, pitching still stinks even with all these solid prospects flashing in A, AA and AAA the past four years. Is there no end in site for horrible pitching? We got a reprieve with (a good) Latos, Cueto, and (a rising and solid) Bailey. Now it’s right back to fizzle-ville. A bunch of average fastball (mid 90s is average these days) with little movement, no breaking balls worth a crap and mediocre command. Sigh. If we spend to contend, we need to sign a top notch pitcher under 32 years old and trade for another (send 3 of our top 6 prospects, I don’t care).